The Mount Dean Stone project reached major milestones this summer. 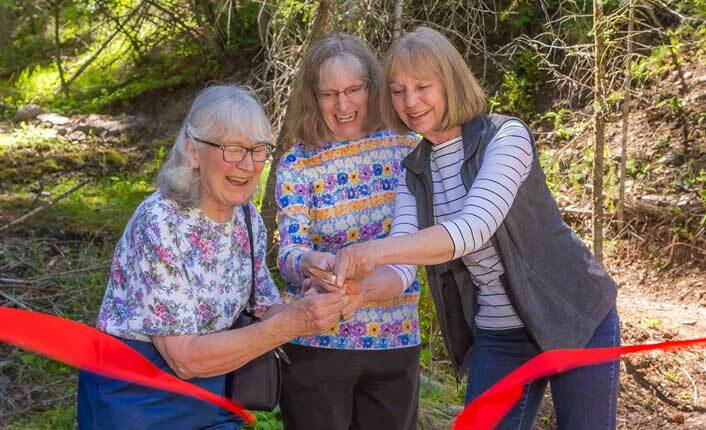 Honoring National Trails Day in June, the three-mile Barmeyer Trail opened with great fanfare. The Barmeyer family cutting the ribbon on the new Barmeyer Trail. Photo by Vo Von Sehlen. 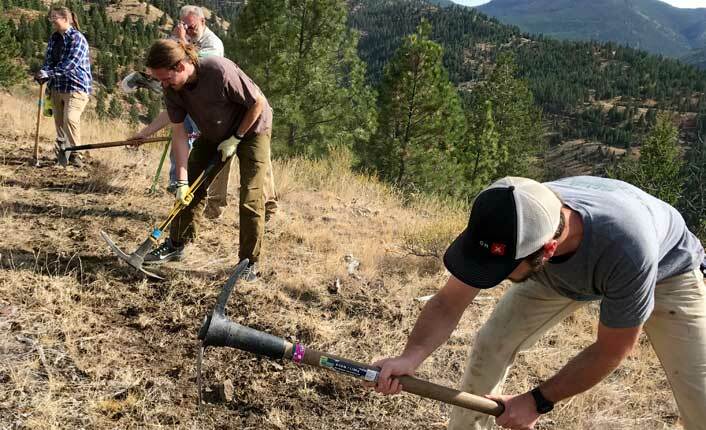 Partners from the City of Missoula, REI, Montana Conservation Corps, Mountain Bike Missoula, and hundreds of community members came out to celebrate this first new trail on Mount Dean Stone. The trail has been busy ever since. Hiking the Barmeyer Trail. Photo by Vo Von Sehlen. While the public has been exploring, the Mount Dean Stone Committee has been busy working to improve public access on the south side of the mountain, in Miller Creek. 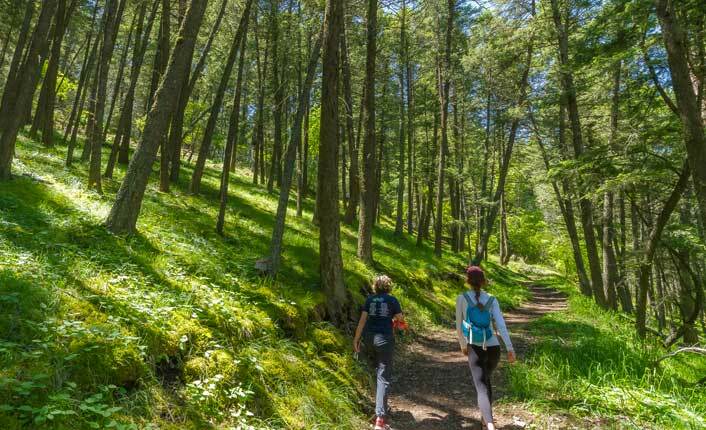 This spring, a single-track trail was built at the Inez Creek trailhead, approximately eight miles up Miller Creek Road. This trail connects to an existing network between the Mount Dean Stone ridge and Miller Creek. 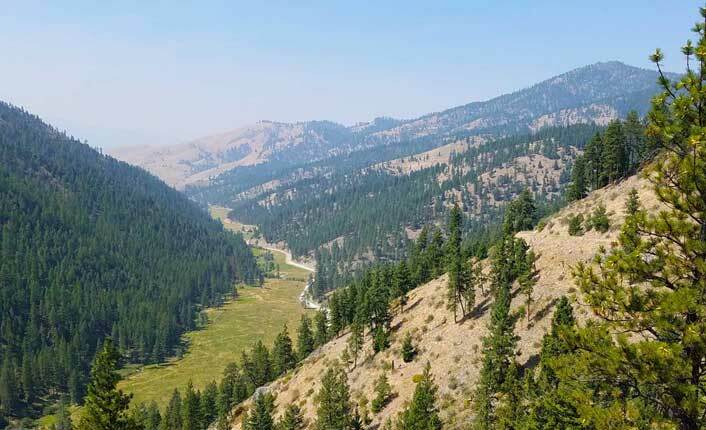 In September, on National Public Lands Day, this trail was connected to a scenic overlook named Legacy Point. 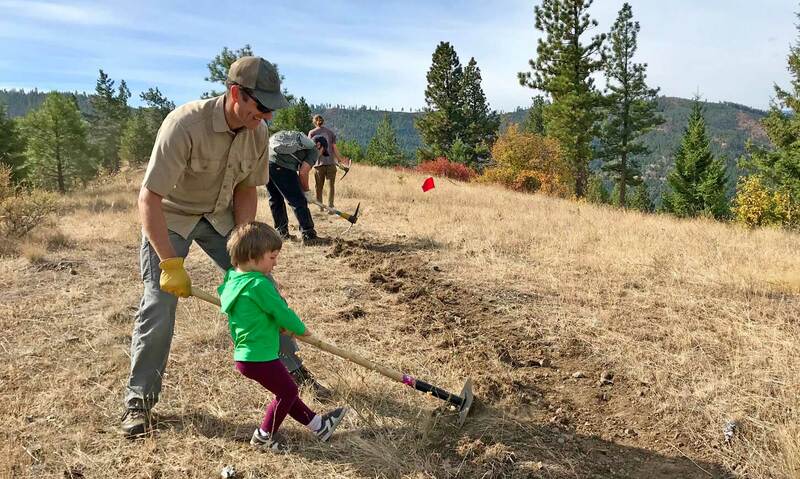 Thanks to The Nature Conservancy, REI, and our many other Mount Dean Stone Committee partners, nearly a hundred community members spent a gorgeous fall day constructing and stewarding trail. A special thanks to OnX Maps and MPG Ranch for organizing their employees to join in. Digging trail at Legacy Point for National Public Lands Day. Photo by Five Valleys staff. While this season has been a turning point for recreation across the complex, it has also been a season of accomplishments for Five Valleys staff and the Mount Dean Stone Committee. A complex-wide forestry assessment was completed, which will help to better understand and prioritize forestry management needs, especially in regards to community safety in the event of wildfire. The assessment also provides the data needed to apply for stewardship grant funding and provides insight to wildlife use throughout the landscape. Legacy Point, in Miller Creek. Photo by Steve Kloetzel, The Nature Conservancy. After three years, the separate Mount Dean Stone recreation and natural resources committees are now combining forces to become one committee with several smaller working groups. The united Mount Dean Stone Committee, comprised of over 20 partnering agencies and organizations, has put in countless hours of thoughtful effort to make the project a reality and into its first big season of new trails. Yet, there is still much to do. Stay tuned, and until then, get out and explore! Download the Summer 2018 access map. Learn more about the Mount Dean Stone project.